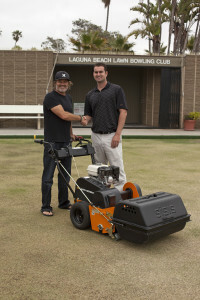 In a bid to dramatically improve the playing characteristics of the green at Laguna Beach Lawn Bowling Club in California, a SISIS Auto Rotorake MK5 pedestrian heavy duty de-thatcher has been purchased. 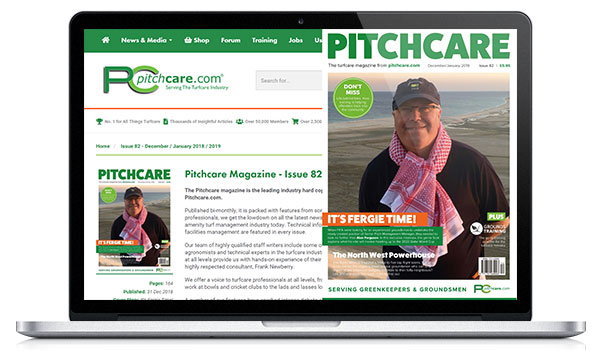 US Open Bowls winner Joe Regan has travelled the world playing bowls so when his local club in California went in search of new turf maintenance machinery to improve the bowling greens, he extensively searched the internet to find the best machine on the market. The poor quality of greens was affecting play and having played overseas Joe wanted to bring the quality of greens up to the same high standards: "We wanted to improve the quality of the greens so I searched around the world for the perfect piece of turf maintenance equipment for our club," said Joe. "The SISIS Auto Rotorake was the perfect fit for what we needed. It is a machine like no other and does a fantastic job removing and controlling thatch on the green. I then contacted CS Trading and their dealer AA Equipment to organise a demonstration." The Auto Rotorake MK5 works on the successful contra-rotating principle developed by the company in the 1960's, and has the effect of throwing the removed thatch forwards as well as firmly holding the machine to the ground to give a consistent working depth. This is a precision machine which can be used on golf greens, tees, fine ornamental lawns as well as bowling greens. Excellent weight distribution and fitted with wide smooth tyres and full differential ensuring ease of turning with minimal surface marking were just some of the features which has impressed Joe: "All of the controls are easy to use but the clever thing is that the depth-of-cut adjustment is mounted on the handle to provide precision depth control at the fingertips and on the move. 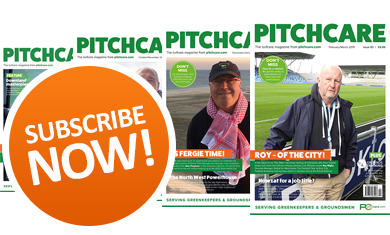 I also like the simple reel change which means that one machine can be used for several different jobs from de-thatching, verticutting or brushing." The SISIS Auto Rotorake MK5 can be used regularly on fine turf - aggressively before and after the playing season and lightly throughout the growing season. A range of interchangeable reels consisting of thatch removal, thatch control and a range of brush reels for both natural and synthetic turf makes it a machine which can be used all-year-round. "I've been competing for Team USA in the Asia Pacific games in Australia recently and this is where I was first inspired to improve the greens in the US. We were so impressed with the demonstration that we actually kept that machine. We have also received excellent customer support from Ian Camp of CS Trading throughout the purchasing process. 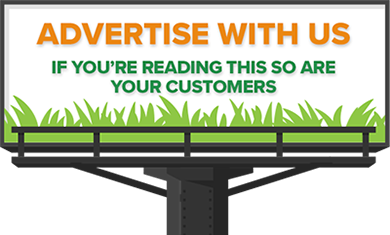 The SISIS products are fantastic and I've already recommended SISIS to other clubs in Southern California so that they can improve their bowling greens like we have." For further SISIS product information or a no obligation demonstration, please contact CS Trading on (864) 843 5972 or visit www.sisis.com. For more news, reviews and insightful views, you can follow SISIS on Twitter @SISISMachinery and like the company's Facebook page - www.facebook.com/SISISMachinery. You can also view the latest SISIS videos by visiting www.youtube.com/SISISMachinery.